I’m journaling and praying that I will have clarity about what my race is. God has marked out my purpose. He has known it since before I was created. In my purpose, I will be my most authentic self, the one God has always seen in me despite the ways I have strayed and settled for less. I’m seeking God’s help in identifying every thing that hinders me. 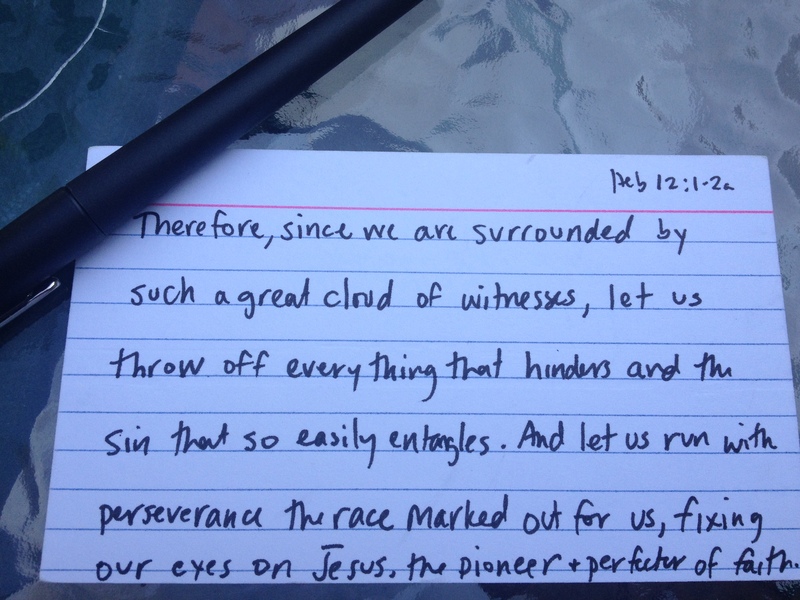 I want to persevere in the race God has marked out for me. And so, I need to identify what is holding me back, what is weighing me down. I’m talking about the stuff that is not sinful, but it is holding me back. Once I identify those things, I’m praying for strength and courage to throw them and any sin off! Then, one by one, I’m doing it. I’m reminding my daughter (and myself) that God loves her no matter what. One of the very clear promptings from God that came out of this weekend was his desire that I tell my daughter every day that as she grows up she may do things that will lead her to feel disappointed with herself, but she needs to know that nothing she does…nothing…will change the way he sees her or loves her. 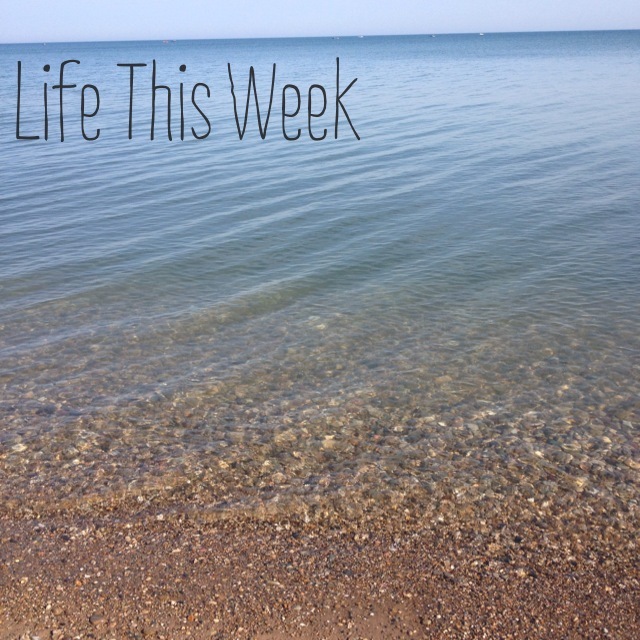 What are you doing this week to stay close to God? Is there a passage of Scripture you could memorize so that it’s in you? Is there someone in your life that needs to be reminded or told that nothing they have done or will do changes or will change the way God sees and loves them? Everything about this is powerful. I love this statement, “I need Scripture in my mind, in my heart, and in my mouth.” Grateful for your post, my friend! This is very relevant to the spiritual journey I have been on for the past couple of weeks. God has me reading through the minor prophets, starting of course with Hosea. Having never read this book before, I am really struggling through it. The takeaway for me thus far is learning to identify the choice I make other than God. Your seeking to identify those things that hinder you…really resonated with me. Thanks for sharing! Thanks so much for your comment. Sounds like you’re on a great journey! Thanks for reading. See you in a few weeks!